Here in the great state of Texas, we revere many different wildflower species each spring, but we exalt none as high as the Texas Bluebonnet. It’s safe to say that, between all of the bluebonnet festivals, family portraits, and scenic roadsides, just about every self-respecting Texan knows how to recognize bluebonnets from other spring blooms. Bluebonnet (left), cotton boll (center), prickly pear cactus (right). Photos: Flickr users Bruce Turner, Calsidyrose, Cliff Hutson, CC licensed. Back in 1901, when the Texas Legislature was nailing down all of the official state mascots, something of a flower war ensued as three different speakers each nominated a different bloom and argued passionately in support of his or her particular choice. According to TAMU, the cotton boll was nominated because it was an economic “king” at the time, but because cotton really isn’t much to look at, it was shot down. Next, a fellow who later became known as “Cactus Jack” nominated the prickly pear cactus for its hardiness and exquisite “orchid-like” beauty. In the end, however, even the vibrant prickly pear flower paled in comparison with the bluebonnet, which was nominated by the National Society of Colonial Dames of America. 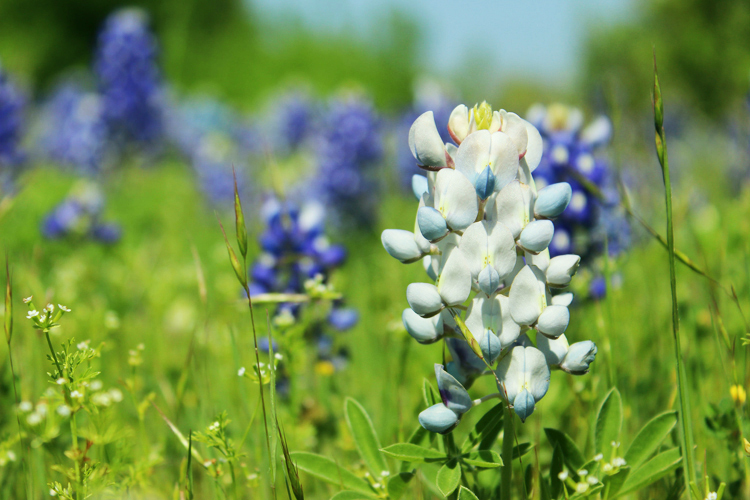 Did you know that there are actually six native species of bluebonnet that grow in Texas and that all six of them are collectively classified as Texas’ state flower? There’s Lupinus texensis, of course, which is the bluebonnet that we all know and love. 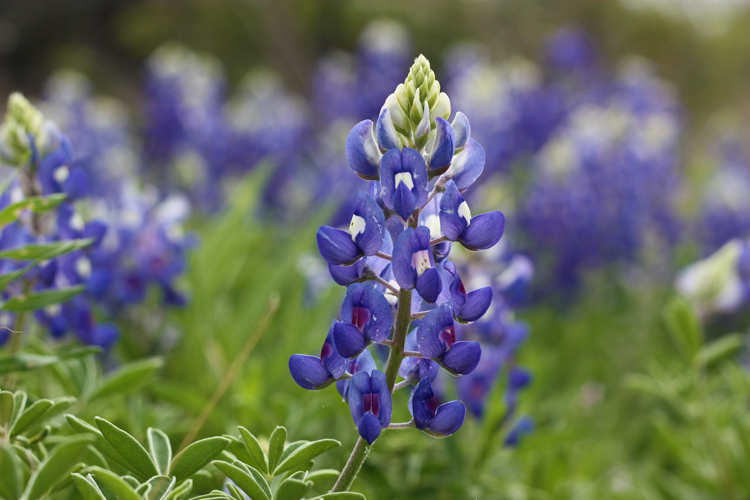 However, according to the Native Plant Society, Texas is also home to four other species: Lupinus subcarnosus, Lupinus Havardii, Lupinus concinnus, Lupinus perennis, and Lupinus plattensis. In 1901, the Legislature elected Lupinus subcarnosus as the state flower, but since subcarnosus generally presents smaller and less vibrant blooms than texensis, citizens petitioned the Legislature for a change on numerous occasions. Finally, in 1971, the Legislature determined that the easiest way to satisfy everyone was to classify all five species as the Texas state flower, and the rest is history. Bluebonnets usually bloom in early March, hit their peak in late March to mid-April, and linger much less gracefully as temperatures rise through May. Spring rains generally mean healthier bluebonnet plants, so keep those rain dances coming and we’ll surely have a beautiful crop this season in Austin. By the end of May, if you do find a bluebonnet, it will be a scorched and pitiful little thing, only a shade of its former glory. Nowadays, most folks know the bluebonnet by its true name, but the bluebonnet has also accumulated at least five other nicknames throughout history. 19th century botanists referred to the flower simply as the Lupine due to its inclusion in the Lupinus genus, though the general public more frequently used the names Buffalo Clover and Wolf Flower. Believe it or not, the bluebonnet is actually toxic if ingested. Leaves and seeds from the entire Lupinus plant family are poisonous, although actual toxicity is determined by a number of different biological and environmental factors (see ‘Benefit’). 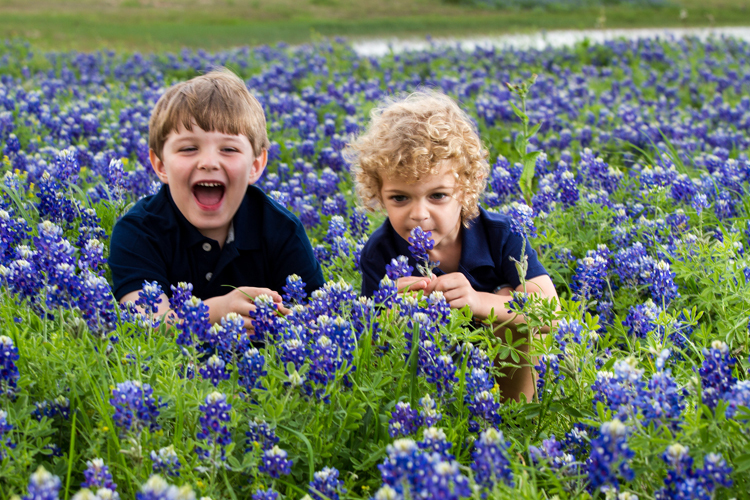 Even animals steer clear of bluebonnets when they get the munchies, so be sure that none of your kids decide to have a bluebonnet snack during family portraits! Nature always has a way of surprising us — just when you think you have something figured out, nature will throw you for a loop every time. 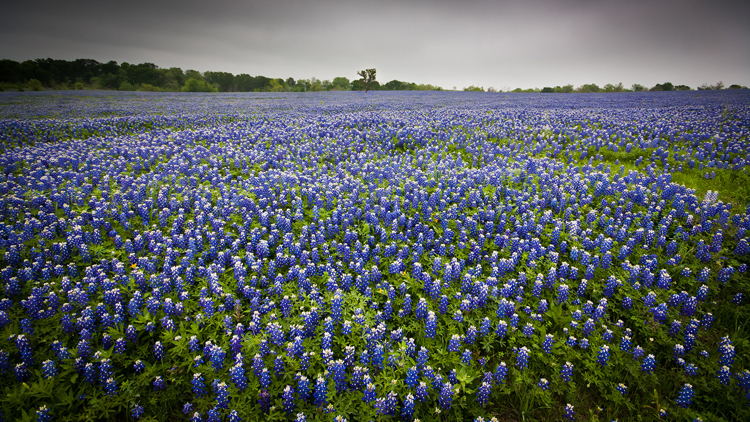 For example, bluebonnets are quite simply blue and white flowers, correct? Wrong. 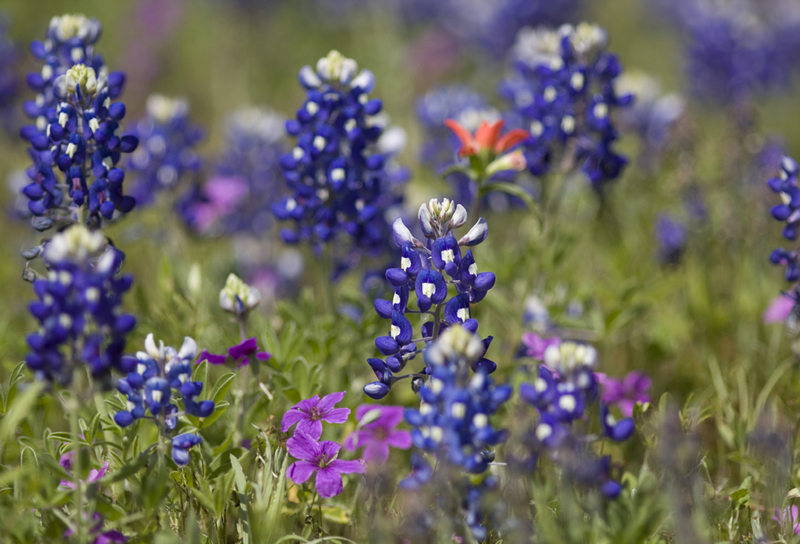 Most bluebonnets are blue and white, but the flowers actually come in varying shades of pink, purple, and white as well. Some botanists have even succeeded in creating “Aggie Maroon” and “Barbara Bush Lavender” blooms! 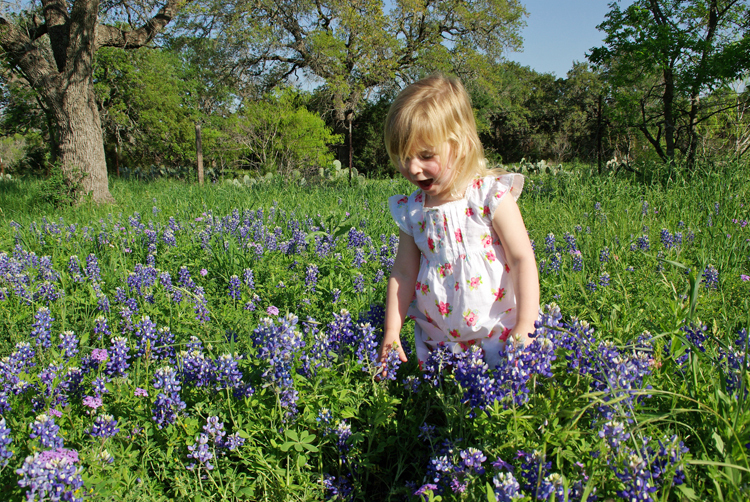 As two young children play in a field of wildflowers just outside of San Antonio, one of them spots a white bluebonnet and the other notices a pink bluebonnet amidst all of the standard blue blooms. They ask their grandmother why the flowers are colored differently than the rest and she answers wisely that the white flower represents the Lone Star on the Texas flag and that the pink flower grows in honor and remembrance of the brave soldiers who gave their lives for Texas independence at the Alamo. “If the white ones are special, then the pink ones mean even more,” she said. Yep. We’ll tip our hat to that. 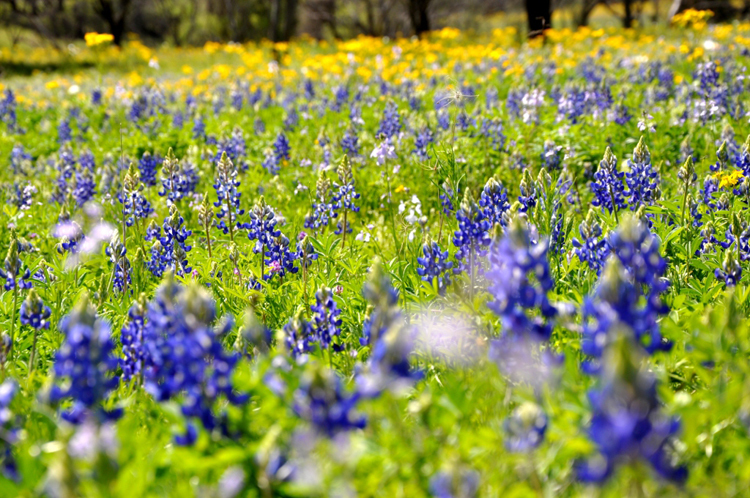 Featured photo: A field of Texas spring wildflowers. Flickr user Derek Bridges, CC licensed.